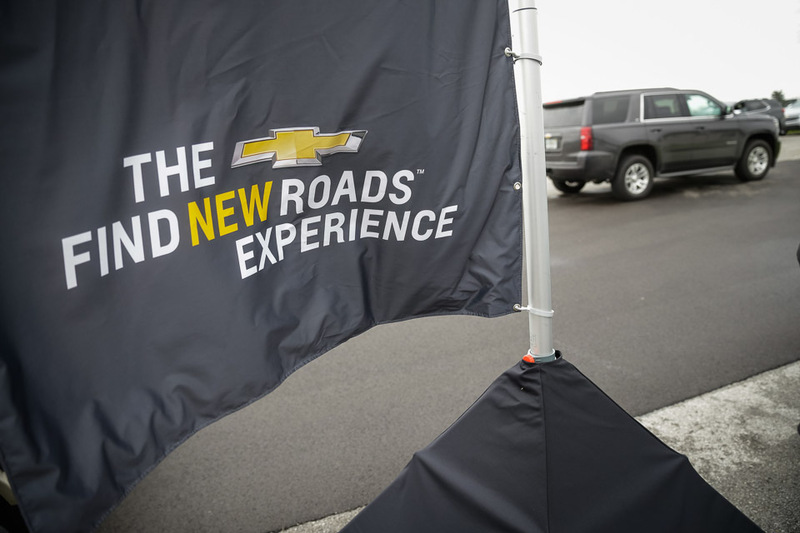 We recently headed to the Indianapolis Motor Speedway with Chevrolet for a day at their Find New Roads Experience. 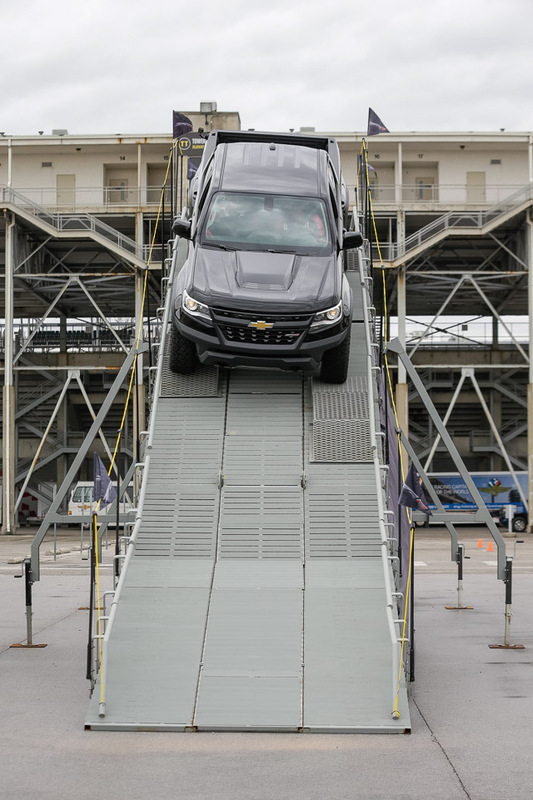 Along the way, we hit the agility course in the new Colorado ZR2, launched a Camaro ZL1, and did a bucket-list lap of the speedway in a Corvette Grand Sport. 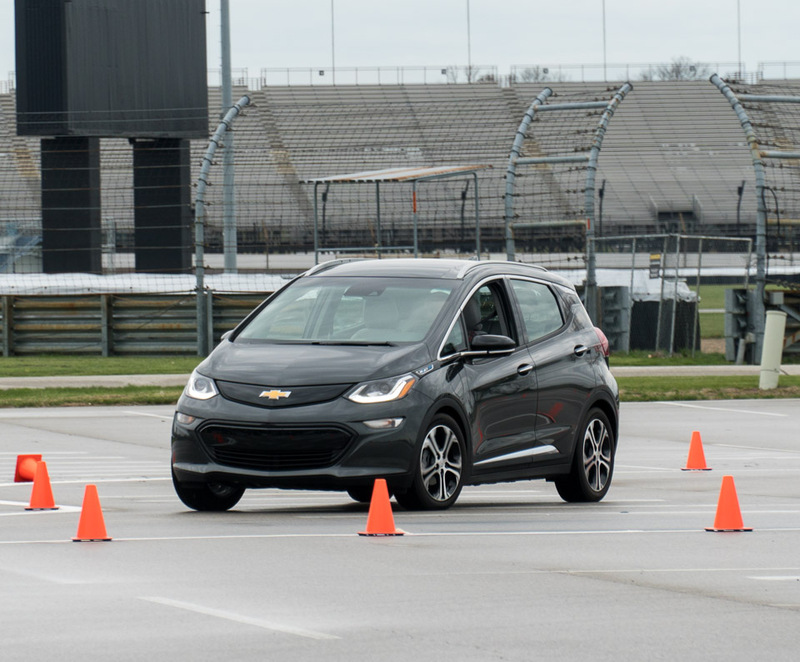 Our first ride - the all-electric 2017 Chevrolet Bolt. Don't let its size fool you. It seats five full-size adults, does 0-to-60 in 6.3 seconds, corners brilliantly, and goes 238 miles between charges. 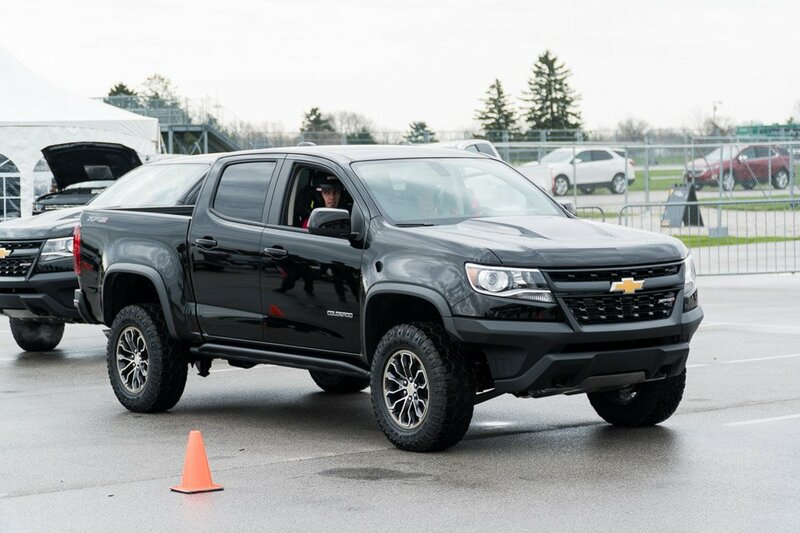 Next up: The new 2017 Colorado ZR2, as it sets off for the agility course. 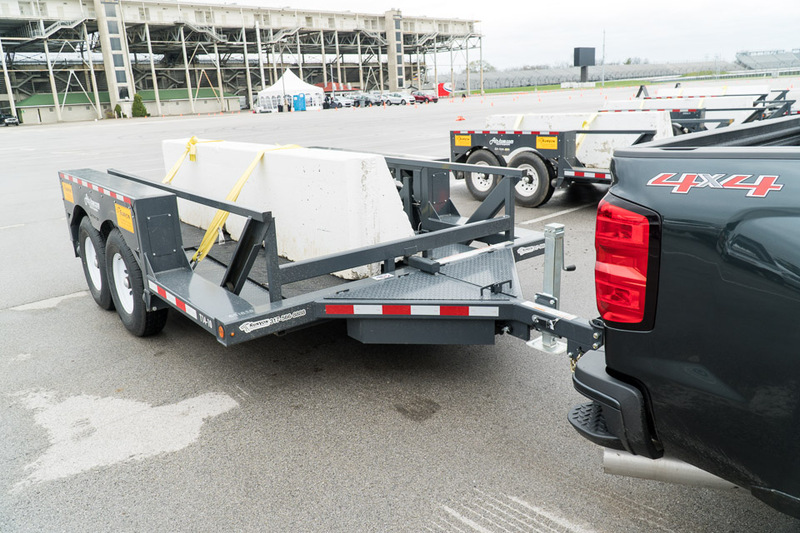 This impressive 4-wheel drive truck is ready for anything. 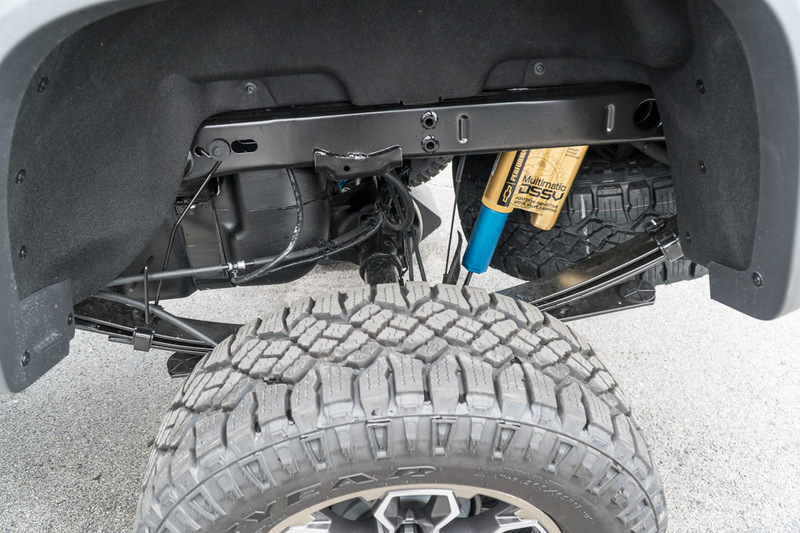 It rides on 17" alloy wheels with 31" GoodYear Wrangler tires, and deftly handles any terrain thanks to Multimatic DSSV shocks. 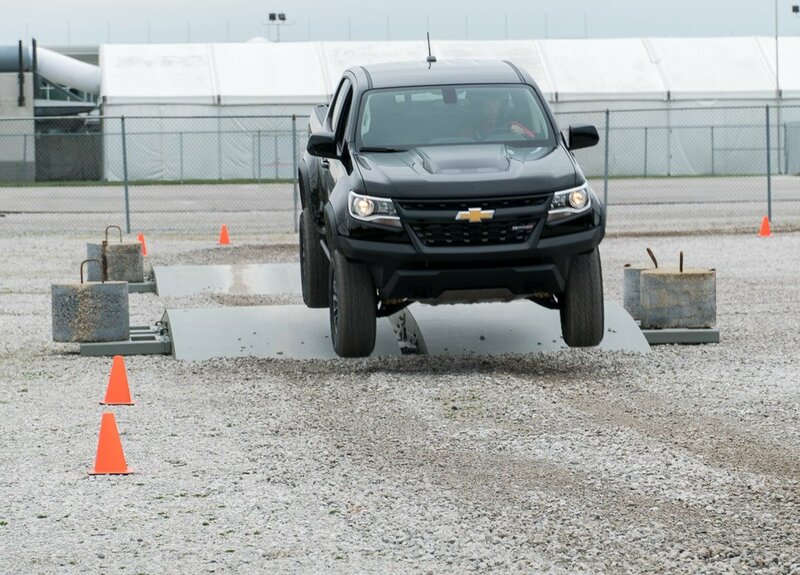 The ZR2 made quick work of gravel, logs, and some speedbumps that are almost as big as the ones in our neighborhood in Chicago. 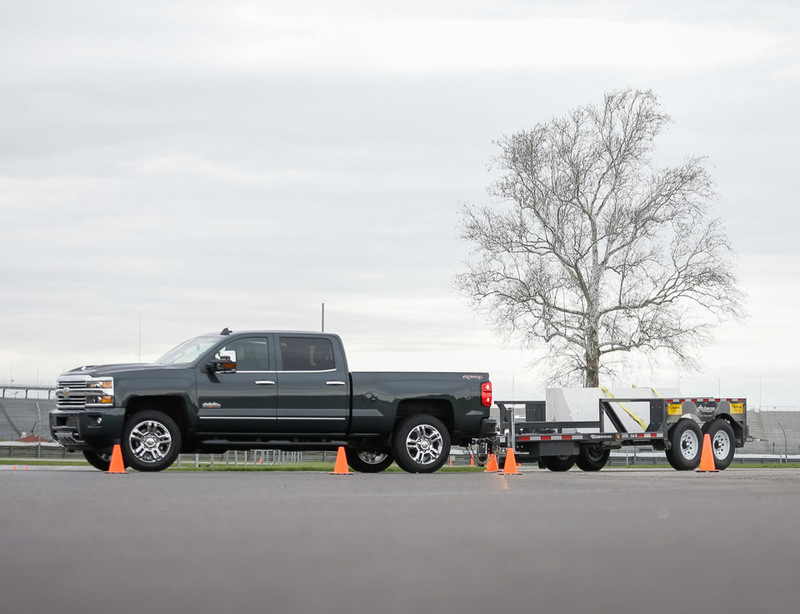 Our next challenge: Tow an 8,500 pound load with the Silverado 2500HD. No prob. 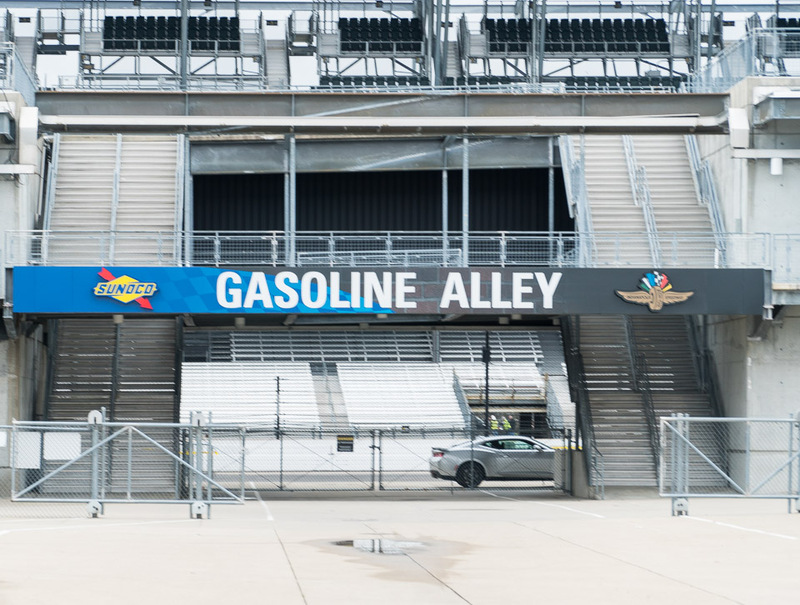 As we approached the track from the garage area, we saw the slightest teaser of what awaited us on the other side of the fence. 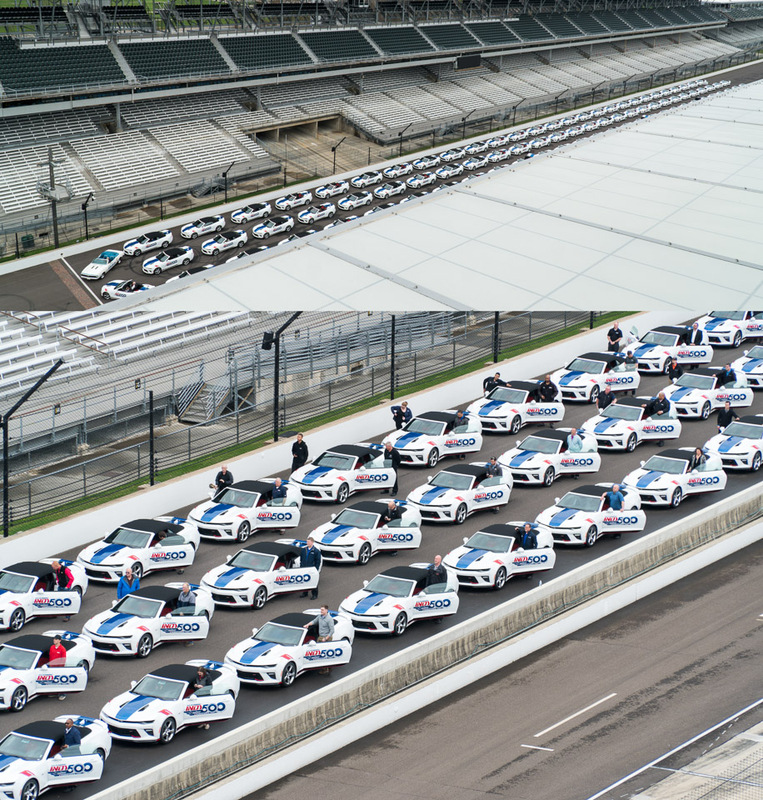 Once we made our way through Gasoline Alley and into the stands, we were greeted by an awesome sight - 101 Chevy Camaros decked out in Indy 500 Pace Car liveries, ready to take a parade lap. 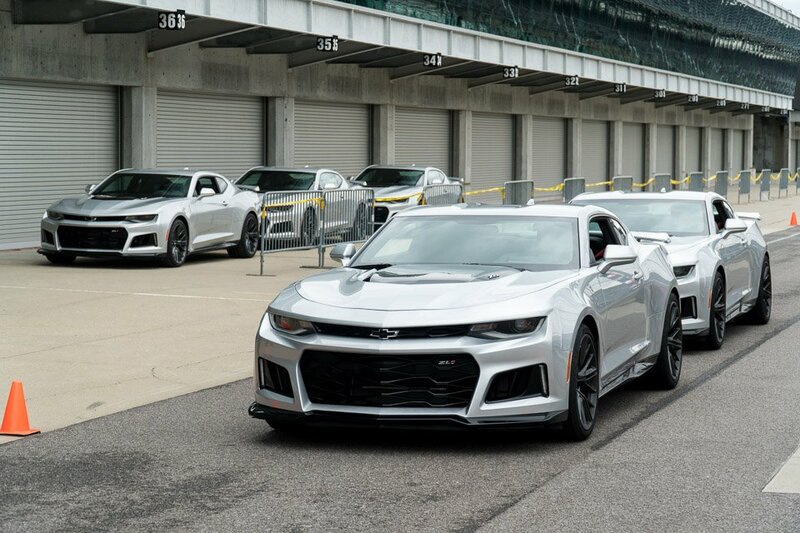 Once trackside, we suited up in helmets and safety gear for a ride in the powerful new 2017 Camaro ZL1. 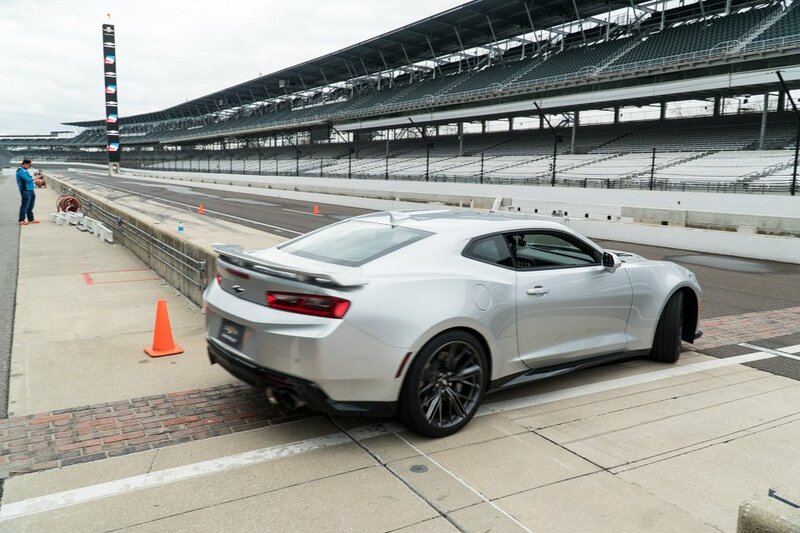 We could listen to that epic exhaust note all day. 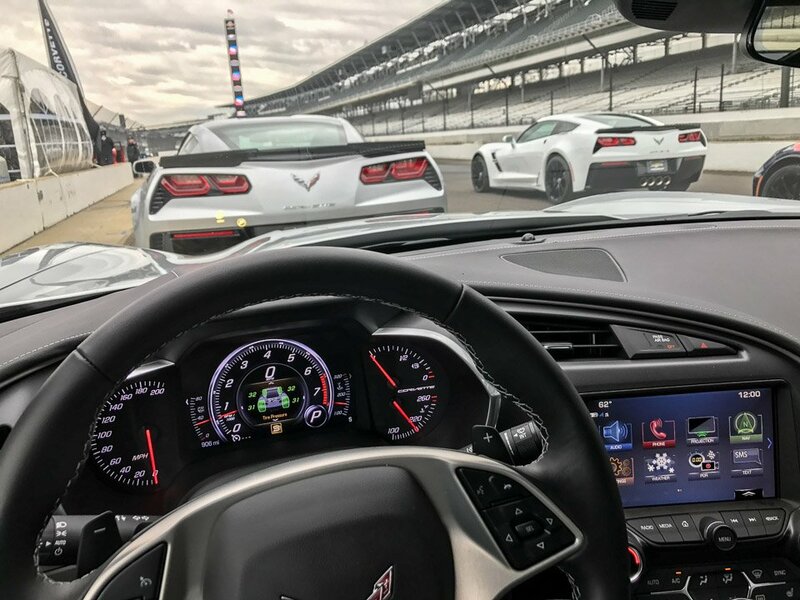 The culmination of the day's festivities: a lap of the famed Indinapolis Motor Speedway in a 2017 Corvette Grand Sport. 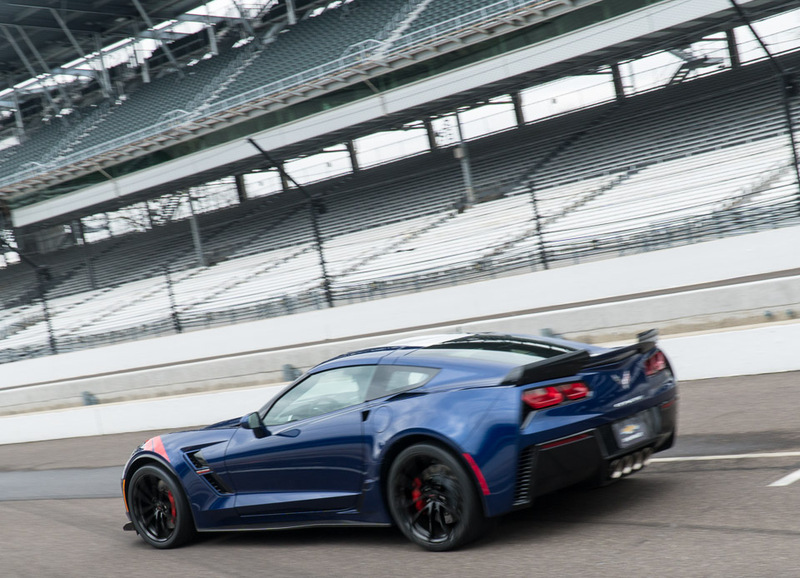 The C7 Grand Sport is our favorite Corvette yet, launching to 60mph in 3.6 seconds, and capable of pulling 1.2g in the corners. 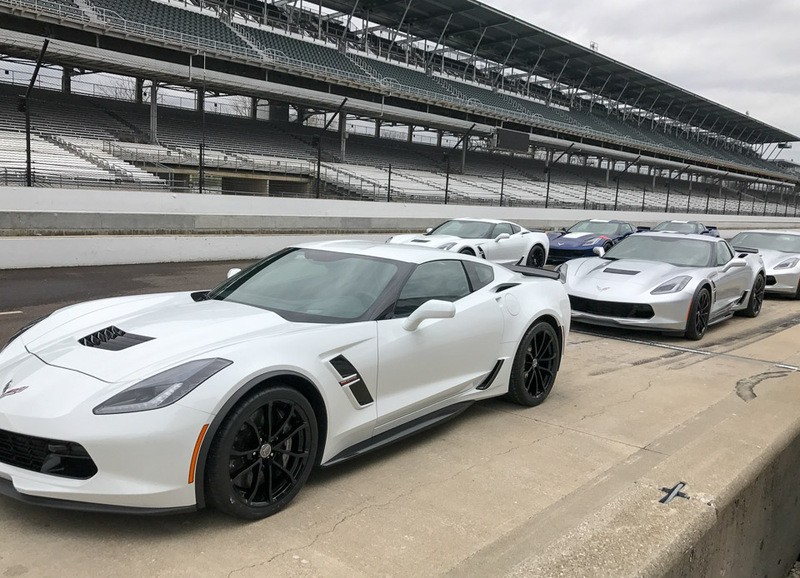 We zoomed down the track in this awesome car at triple-digit speeds, walls whizzing by, and cornering without a care in the world thanks to the Grand Sport's incredible grip. The whole time, we imagined the stands packed with crowds cheering us on.